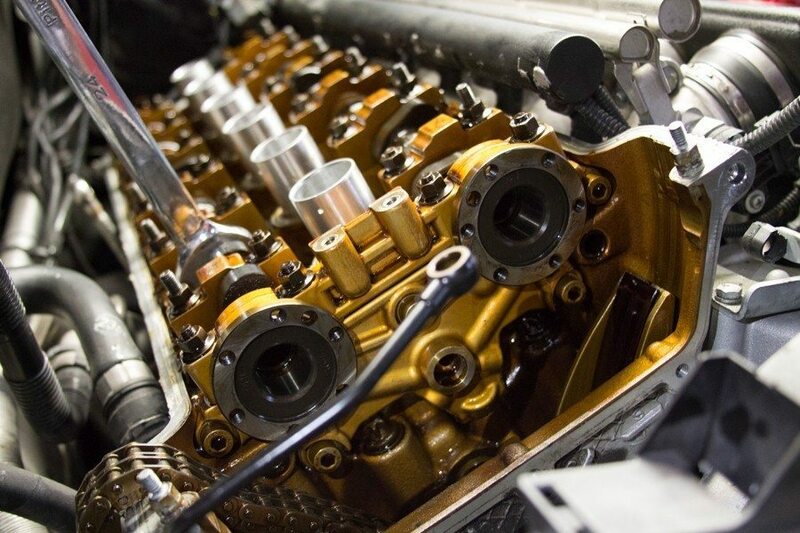 There are three common issues with the S54 VANOS system that can lead to engine failure: a solenoid coil pack failure, exhaust hub tabs breaking and loosening intake sprocket sleeve bolts. 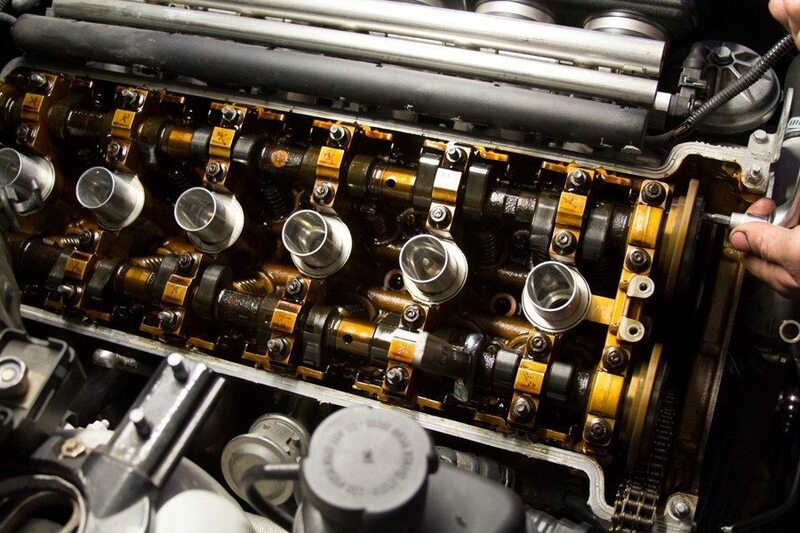 You can pay for a new VANOS unit from BMW, however buying anything from the dealership can get a bit pricy. 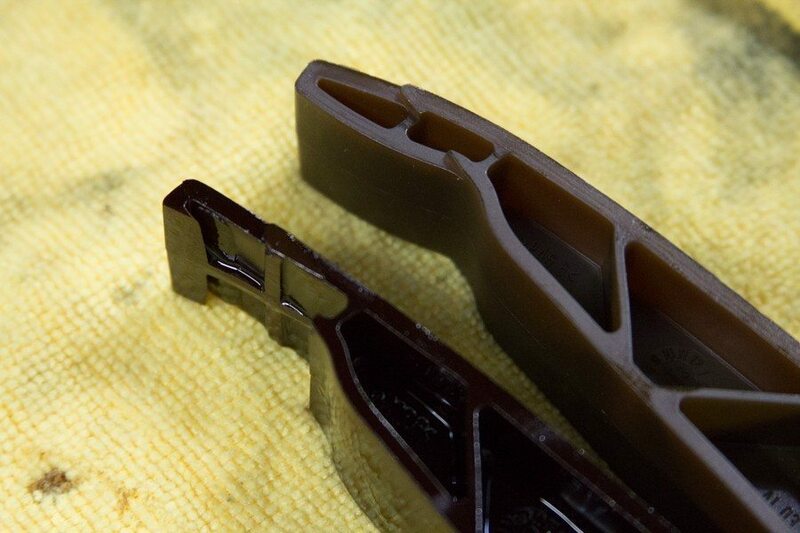 Fortunately there is an alternative solution from Beisan Systems to refresh your VANOS system and reduce the risk of engine failure. There are lots of information regarding these failures on the web so we won’t go into too much detail on the issues. If you are interested, check out Raj’s write-up on M3Forums. My car has around 145,000 miles now so as a preventative maintenance service I decided to get the Beisan VANOS kit. 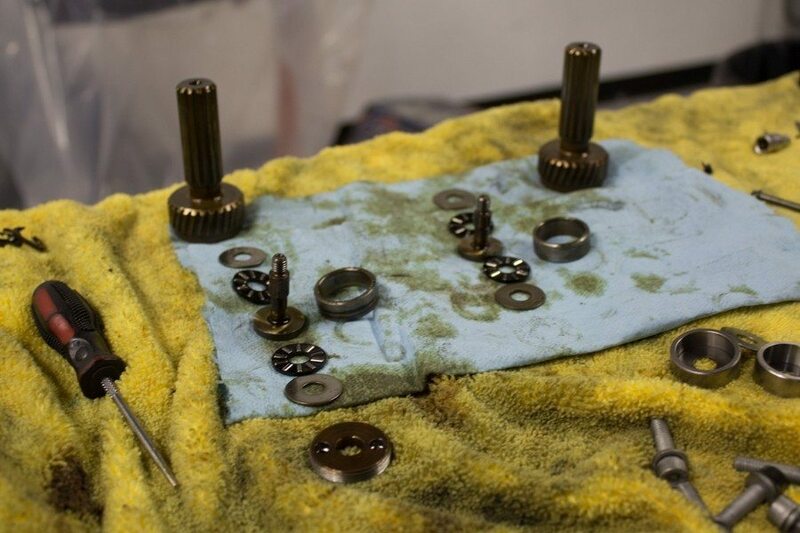 There are a few shops around the area in Southern California to get this done like RaceWerk Engineering in San Dimas and Lang Racing Development in Irvine. I decided to take it to Andrew at Lang Racing Development since they were closer. 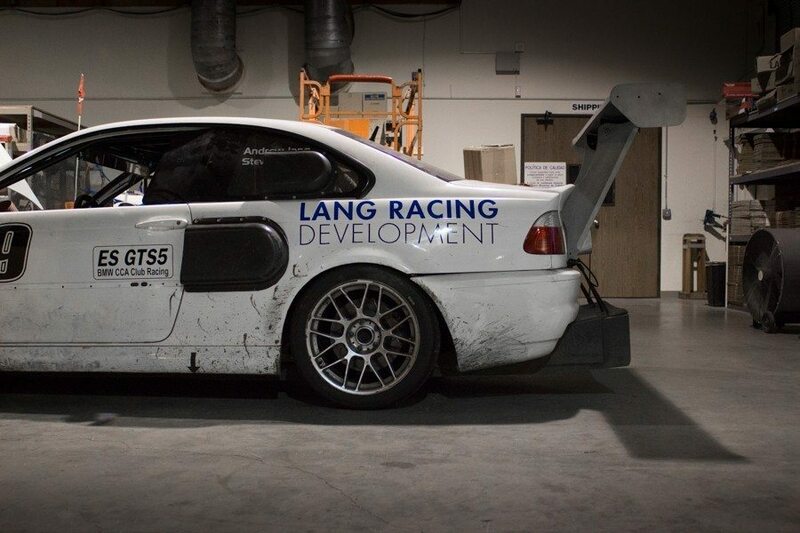 Lang Racing specializes in building, driving and tuning race cars. They have a pretty cool BMW E46 M3 and I finally got to to see it today as it just came back from a 25 hour endurance race. Valve cover open and VANOS unit removed. 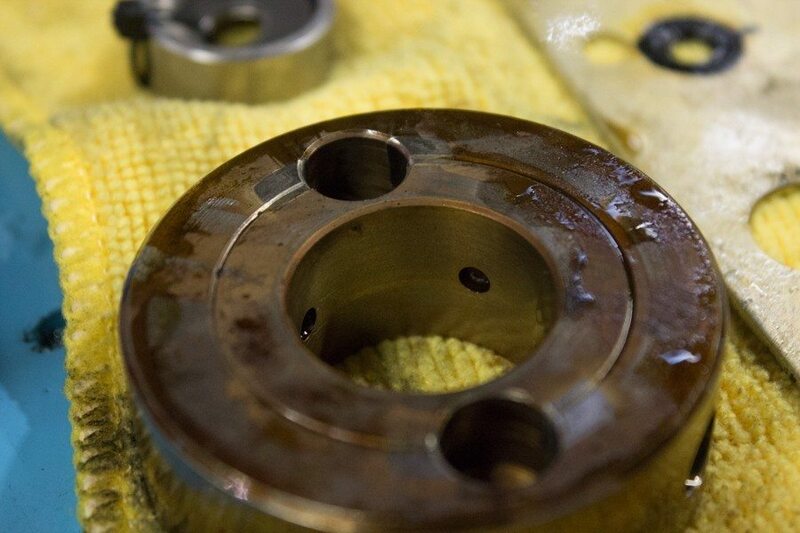 Old oil pump disc from my VANOS unit. You can see the shiny area around the holes which is where the tabs come in contact. Not in bad condition actually. 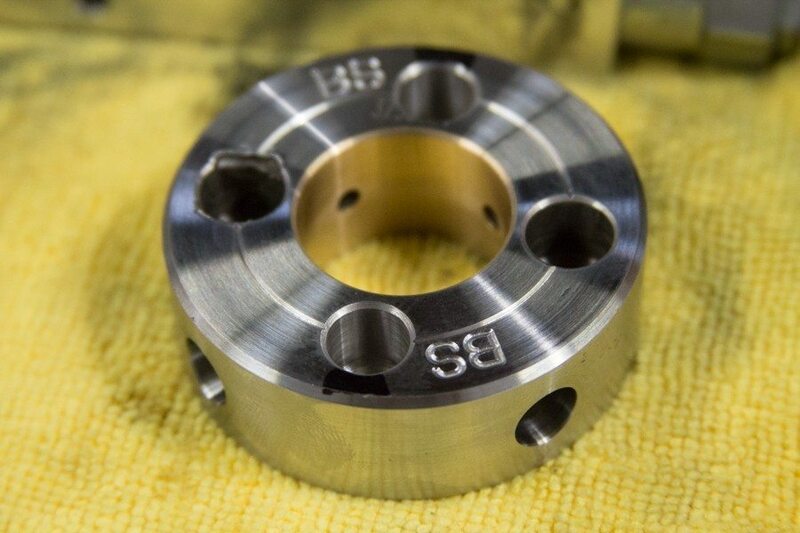 New oil pump disc from Beisan. Re-drilled holes with smaller diameter. 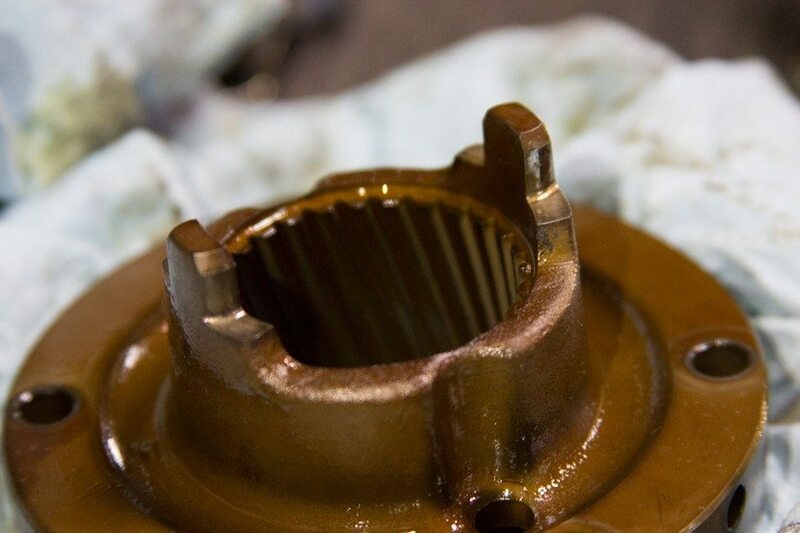 Smaller holes limit play of the exhaust hub tabs, which are prone to break. Both tabs are intact on the exhaust hub! 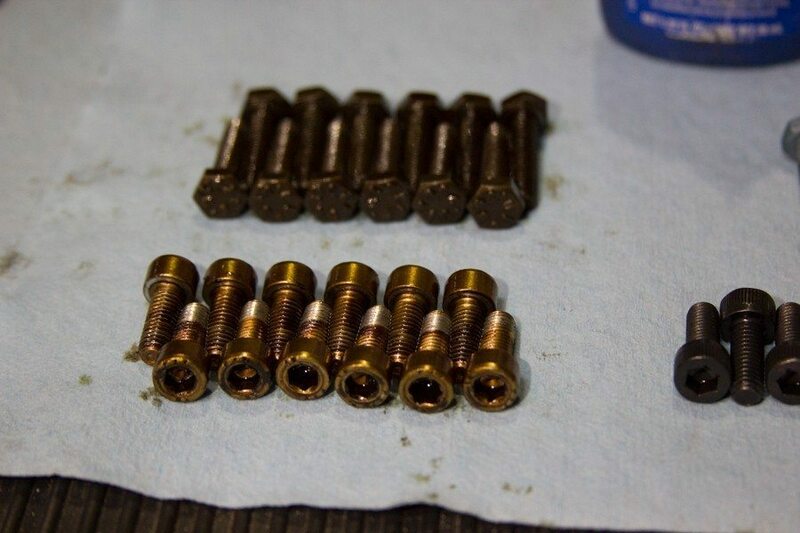 Old intake sprocket sleeve bolts. None of them were broken. 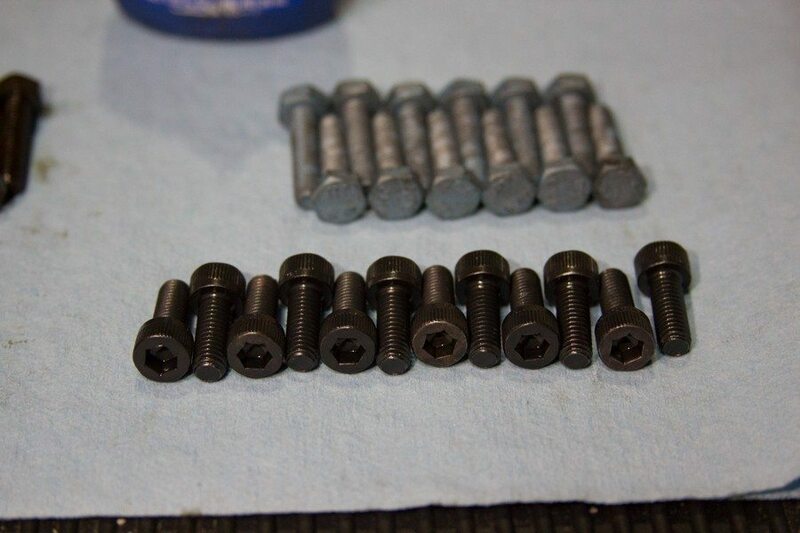 New intake sprocket sleeve bolts from Lang Racing Development. 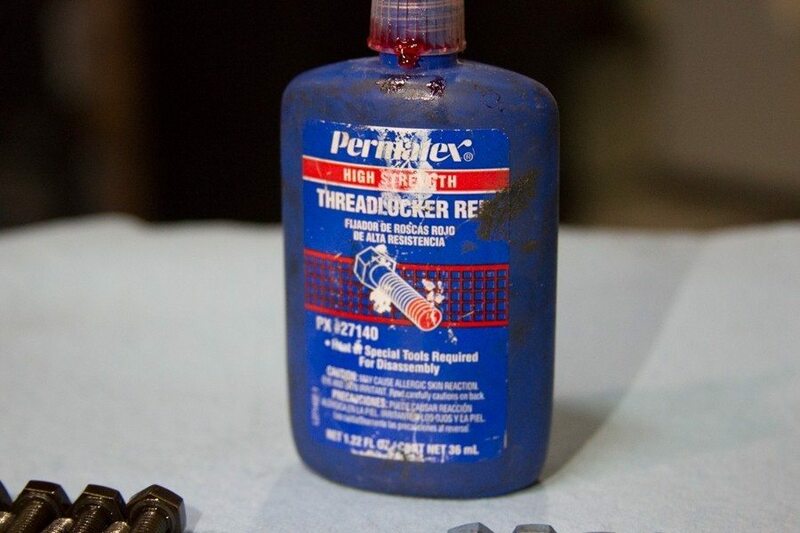 Threadlocker for the intake sprocket sleeve bolts. 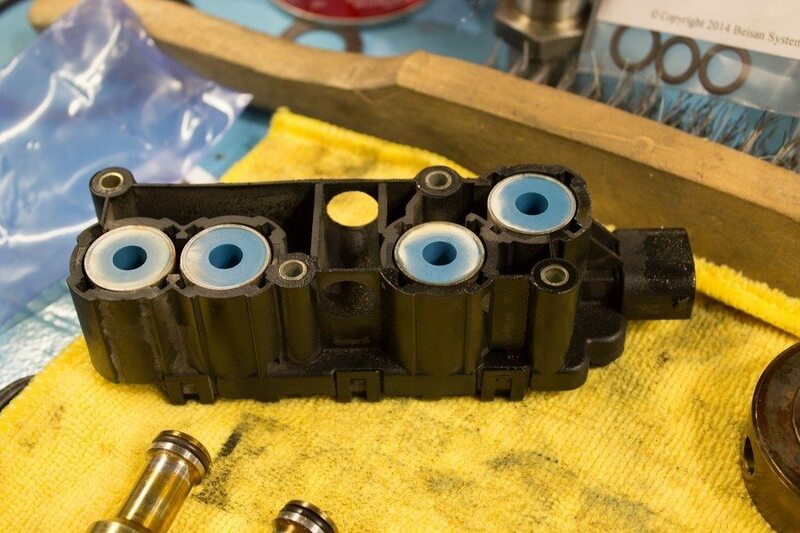 Old VANOS solenoid pack. White residue around the blue inserts indicate possible leak. Car has been idling poor and sometimes shutting down into limp mode. Car also shows CEL codes for VANOS related issues. This was probably the issue. New Beisan Systems VANOS solenoid rebuilt. Old chain guide on the left, new on the right. You can see there’s a chunk of plastic missing on my old piece. This is a common problem as well. Must inspect and replace. The new VANOS unit being put back together and going in the car. 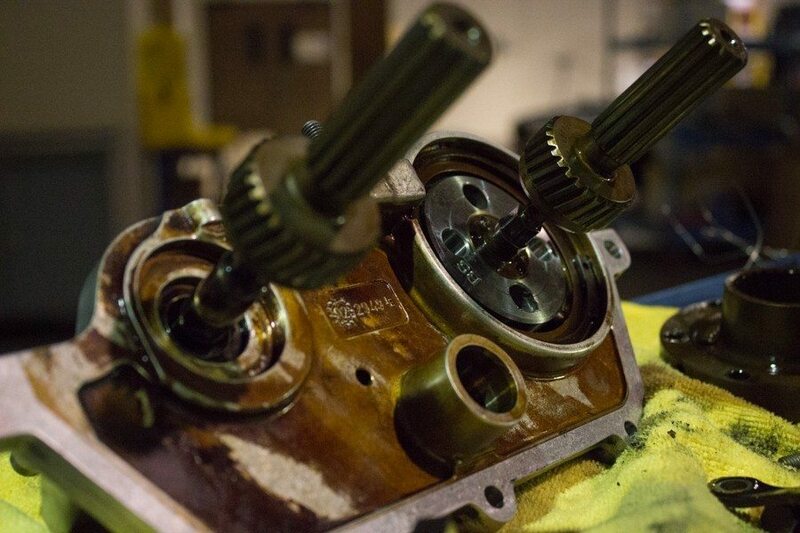 Last, but not least, doing a valve adjustment since valve cover is already open. 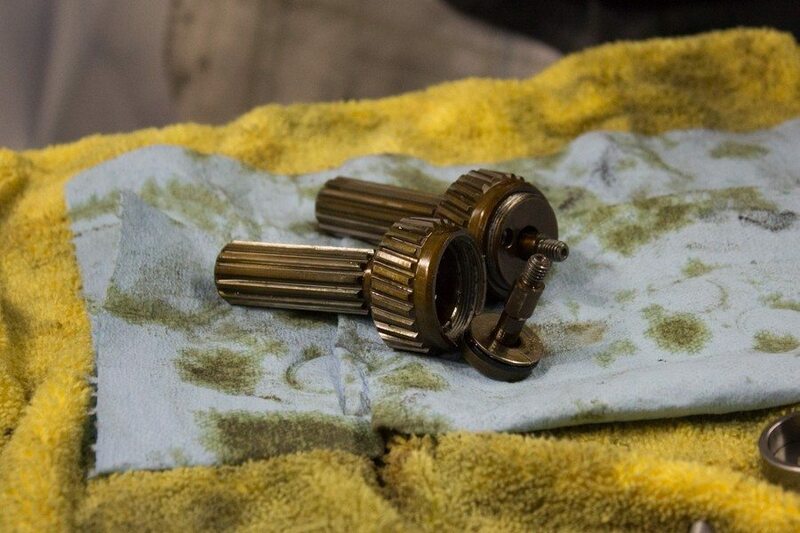 Andrew is one of the best in the business when it comes to anything S54 engine. I’ve seen a few of his customers spend hundreds of dollars in shipping their engine just so he can work on it. Although his rates are expensive, his attention to detail and knowledge is worth the cost.